The government has appealed for public cooperation for planned events to celebrate the upcoming 50th Independence Day on July 26. “The celebration of Independence Day should involve everyone. 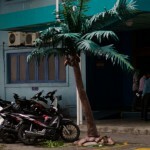 I call on every Maldivian to cooperate with the celebrations,” President’s Office Minister Abdulla Ameen said last week. A special office was launched on Thursday (March 19) to oversee events planned by the government to mark the golden jubilee of independence. “The Independence Day celebrations are supervised by the president. The celebrations are carried out with the president’s opinion and advice,” Ameen said at a ceremony after opening the office. Scheduled events include sky diving, a swimming competition, a bicycle race and a water fountain laser show. “From every event we see the government-backed gangs getting more powerful. There is absolutely no freedom whatsoever for the opposition or its supporters. The government with their minority and the so-called peaceful youths are terrorising every other citizen,” MDP Vice President Mohamed Shifaz told Minivan News. 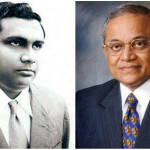 While the Maldives gained independence working alongside development partners and friendly nations, Shifaz contended that the Maldives was now isolated in the international area. “We got independence by working together with the rest of the world. 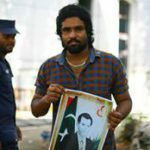 But 50 years later with President Yameen’s foreign policy Maldives has been isolated from the rest of the world now,” he said.